THE work of the Atlantic Economic Corridor (AEC) which includes Limerick and the Mid-West, will be boosted after the Northern and Western region of Ireland won the award to be one of the EU’s European Entrepreneurial Region for 2018. That is according to the Minister for Rural and Community Development Michael Ring TD said, “The European Entrepreneurial Region is a project that rewards EU regions which show outstanding and innovative entrepreneurial policies, irrespective of their size or wealth. “The announcement that the Northern and Western region of Ireland has won the award for 2018 is an exceptional achievement. Notwithstanding that it is a region which is geographically removed from the centre of Europe, the award demonstrates that in this modern era of global communications, geography is no barrier to entrepreneurial spirit, innovation and a “can-do” attitude. The European Entrepreneurial Region (EER) Award is an initiative of the EU’s Committee of the Regions. It identifies and rewards EU regions and cities with outstanding, future-oriented entrepreneurial strategies, regardless of their size, wealth or specific competences. The territories with the most credible, visible, forward-looking and promising political strategy are granted the label “European Entrepreneurial Region” for a specific year. The Atlantic Economic Corridor (AEC) is a collaborative initiative, driven by business representatives and communities and supported by national and local government and State agencies. The Corridor stretches along the Western seaboard, from Kerry to Donegal. The overarching objective of the AEC concept is to maximise the region’s assets and connect the economic hubs, clusters and catchments of the region to generate a value proposition of scale which will attract investment and support job creation and an improved quality of life for those who live in the region. Both Limerick and Shannon Chamber have welcomed the win as it will further highlight the ongoing work of regional development and promotion. 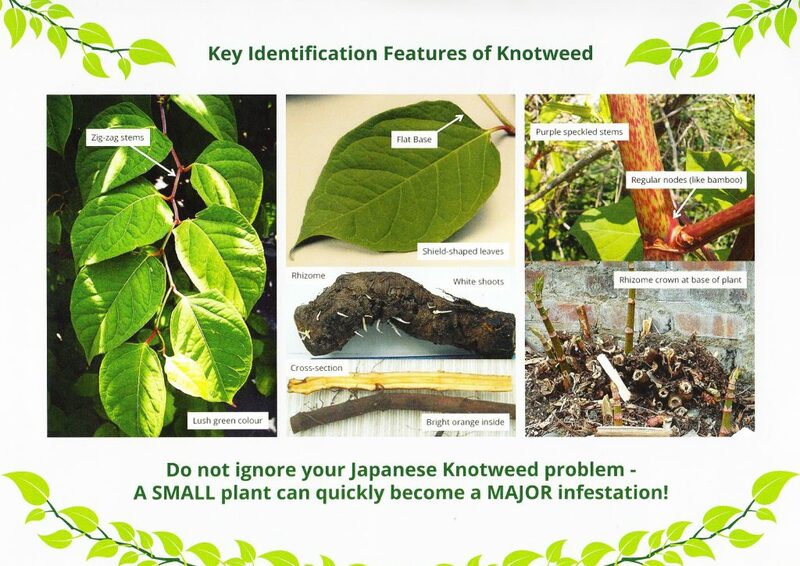 Japanese Knotweed is a non-native, invasive species that is rated among the 100 worst alien species in the world by the Global Invasive Species Programme (GISP), and it is here in Claremorris! Japanese Knotweed was first introduced into Ireland by the Victorians as an ornamental plant for their gardens but it has proven to be a very aggressive coloniser as here in Ireland it has none of the natural enemies that are present in its native habitat of Japan and Nothern China. Due to its rigorous growth, Japanese Knotweed is becoming more common and is widely distributed across a variety of habitats in Ireland including roadsides, hedgerows, railways, riverbanks, lakes, water-courses and waste-grounds. Japanes Knotweed spreads rapidly, growing up to 2 metres in one season with a root system underground that can stretch for 7 metres. It has the ability to grow through cracks in asphalt/tarmac, concrete, stone walls and into drains causing significant damage. If you have Japanese Knotweed in your garden or on your property it is best to leave it be as it thrives on disturbance.